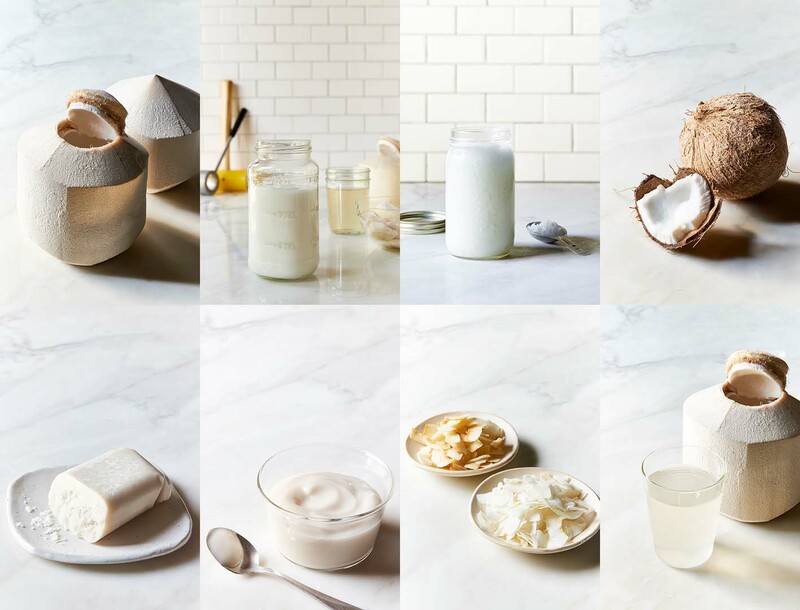 Tips for using coconut oil, coconut water, coconut milk, dried coconut, coconut meat, and cultured coconut to make healthy recipes. This fabulous fruit is a health-promoting superstar that provides high quality plant-based saturated fats mainly in the form of medium-chain triglycerides that break down easily to release energy rather than being stored as body fat. The high efficiency fats in coconut boost endocrine function (particularly in the thyroid) and can improve metabolic rates to help burn calories. 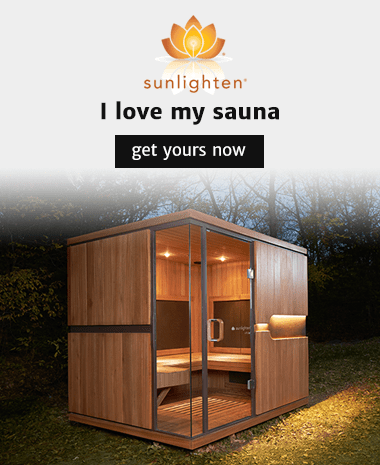 These healthy fats also satiate us and promote the effective utilization of blood glucose, enhancing the secretion of insulin to regulate blood sugar, reducing stress on the pancreas, liver, kidneys, gallbladder, and adrenals. Coconut is a powerful immune-boosting agent that contains lauric, caprylic, capric, and myristic acids which are lethal to the lipid membranes of bacteria, viruses, yeast, and fungi. High in vitamins, minerals, antioxidants, anti-inflammatory agents and protein, coconut also helps regulate blood pressure and cholesterol for heart health, and supports strong bones and teeth. 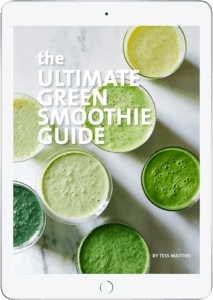 This fantastic food is also a powerful detox ally aiding the absorption of alkaline buffer minerals such as calcium and magnesium and helping tame toxins and expel them. Choose organic coconuts and coconut products wherever possible. Some companies use a fungicide dip such as formaldehyde or sodium metabisulphate before exporting to help eliminate mold and bacteria during the 4 to 6 week shipping process. There is a possibility that these coconuts have also been irradiated during the shipping process. Some coconuts could also be cross pollinated with palm tree making them incredibly sweet. It is estimated that over a third of young Thai coconuts available are rotten by the time they get to our stores. Black spots on the husk and discolored water with a pink tinge is a sign that your coconut is past its prime. Opening fresh coconuts takes a bit of practice. It can be a bit daunting and scary at first. I have had a few disastrous trial runs at this over the years, and there have been a few laughs, tears and injuries along the way. My first foray into coconut cracking was with my dad many years ago before the days of the internet and how-to videos on YouTube. I asked dad to help me assuming he was a coconut cracking expert having grown up in the tropics of Australia where he had coconuts growing in his back yard. It turns out, a coconut owner does not a coconut cracker make! After several exasperated attempts to crack open these coconuts with our very sharp meat cleaver I went into the kitchen in search for alternate implements only to return five minutes later to find “Tim-The-Tool-Man-Taylor” hacking and cracking into the first batch of coconuts with an electric drill he had grabbed in desperation from his tool shed! Well, he was right about that, and we did extract our water with ease. Raw coconuts have three eyes, and if you pierce the soft one in just the right place you can quickly drain the water by turning it upside down over a jug. But how were we going to scoop out all of the coconut meat for our desserts? However, we set about researching an alternate approach for our next coconut cracking adventure. A week later we had some success with a better quality meat cleaver, less fear, and the total conviction of a champion wood chopper. Years later, I perfected my coconut cracking technique after watching many videos. I’ve decided that this video is my favorite. Use a very sharp meat cleaver. Do not use your expensive chef’s knife. It won’t work and you will ruin your knife. Lay a cutting board on top of a kitchen towel on a flat secure bench or floor. Shave off the outer layers and get down to the inner coconut. As soon as you break through to the inner layer, place the coconut upright, and cut into the side of it diagonally and pry it open. Watch the video. Pour out the water into a jar, bottle or pot, and scoop out the flesh. Cut off the brown shell from the pieces and rinse under cold water to clean. The soft creamy meat scoops out easily with a spoon, and the harder meat can be loosened with the back of a spoon. Not all coconuts were created equal. They range in size and age, and that will determine the water yield and the texture of the meat. The most efficient way to crack coconuts is to do them in batches and freeze the water and so you always have it on hand to enjoy. Coconut water and coconut meat freezes and defrosts very easily and very well. Transfer the water to sealed containers leaving 1 inch at the of the container to allow for the expansion of liquids when freezing. Or, pour the coconut water into ice cube trays and make flavored coconut water ice to flavor smoothies and shakes. After cleaning the brown skin off the meat, rinse the meat and pat it dry. Transfer the meat to containers or small zip-lock bags and flatten them. Lay them in the freezer. I freeze coconut meat in 1 cup portions so that I know exactly what the yield is for making recipes. Either transfer to the fridge to defrost the night before you want to use it. Or, lay the container or bag in a sink of warm water. The flesh of coconut varies from very thin and soft to very thick and firm, and sometimes even rubbery. The really soft creamy thin flesh is fantastic for smoothies, creams, sauces and ice creams. The firmer meat is better used for making raw coconut noodles and pasta. You can also purchase coconut meat in packets in the freezer section of select health food stores and grocers. It is convenient, but really expensive at around $15 a pack for 2 cups of meat. You’re skipping back up to the coconut cracking section now aren’t you?! Coconut meat brings a luscious creaminess to smoothies and is an amazing base for vegan ice cream and cheesecake. Coconut pairs especially well with berries, pineapple, mango, citrus, banana, leafy greens, avocado, tomato, carrot, beets, sweet potato, and, of course, chocolate! 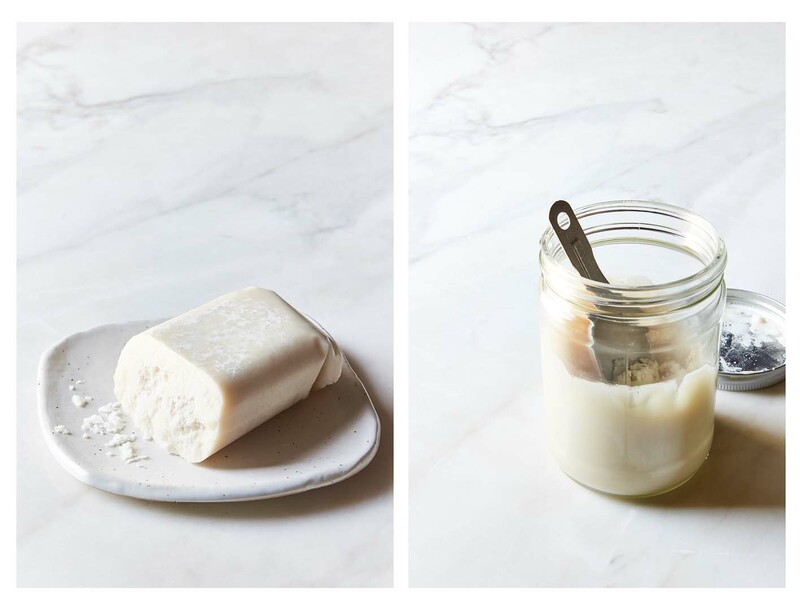 To make probiotic-rich cultured coconut yogurt, dip, or cheese, blend the meat with just enough coconut water or coconut milk to reach your desired consistency. Transfer the mixture to a glass or ceramic bowl. With a non reactive wooden spoon, stir 3 to 4 tablespoons of coconut water kefir or 1 teaspoon probiotic powder through the coconut meat mixture until well combined. Cover the mixture with a soft breathable cloth and allow the mixture to stand at 70F/21C for about 8 hours until fermented. You can also place the mixture in the fridge and ferment for longer until tangy like yogurt. Once cultured to your preference, add any flavorings, herbs, or spices. Cultured coconut meat is a fantastic probiotic-promoting addition to smoothies. Low in calories and carbohydrates, and almost completely fat free, fresh raw coconut water has a sweet and slightly nutty flavor that pairs well with most fruits and vegetables. Coconut water is alkaline forming, cleansing, and boosts the function of the liver, thyroid, kidneys, and gall bladder. It’s also wonderful for preventing cracked lips and age spots on skin. The I prefer the water from young Thai coconuts. As the coconut matures, the sugar content increases and the ascorbic acid content decreases. But, water from any fresh coconut is great. When purchasing commercially packed coconut water, look for organic, raw, and unpasteurized brands without additives or preservatives. Raw coconut water has not been heated and contains all of its enzymes. Long-life varieties packed in cartons and bottles are basically just sugar water devoid of real nutrients. This magic elixir is loaded with potassium, sodium, calcium and magnesium, and contains powerful probiotics essential for maintaining the healthy intestinal flora of the digestive system. Probiotics, such as lactobacillus and bifidus help white blood cells combat infection and disease, assist with digestion by protecting intestinal mucous and controlling putrefactive bacteria, and are a rich source of Vitamin B12. I was introduced to coconut water kefir when I was following stage one of The Body Ecology Diet. Coconut water kefir has miraculous medicinal and healing effects. This tonic increases energy, aids digestion, cleanses the endocrine system, liver, and intestines. This fizzy tonic can also improve vision, curb sugar cravings, strengthen hair, skin and nails, and even dry up moles, warts, and fade skin spots. I’ve been drinking coconut water kefir for over ten years and can personally attest to the truth of these claims. I will say that coconut water kefir is an acquired taste for most people. I love tart flavors so I enjoy the tangy notes. Some of you may have to pucker up for the sour bite. Once the water gets to about 90 degrees Fahrenheit (don’t let it boil), stir in one sachet of Body Ecology Kefir Starter. Transfer the mixture to a glass mason jar, secure the lid, and leave the jar on the counter at about 70 degrees Fahrenheit for 36-48 hours, depending on how stable and warm the environment is. The microflora (friendly bacteria) will ferment the sugar in the coconut water, and by doing so, the coconut water will turn into a white, bubbly cloudy mixture. When you take the lid off it the kefir it should pop like a carbonated soda. That means it is ready. The kefir should be tart, tangy and bubbly. Chill the kefir in the fridge, and it will keep chilled for about 3 months. 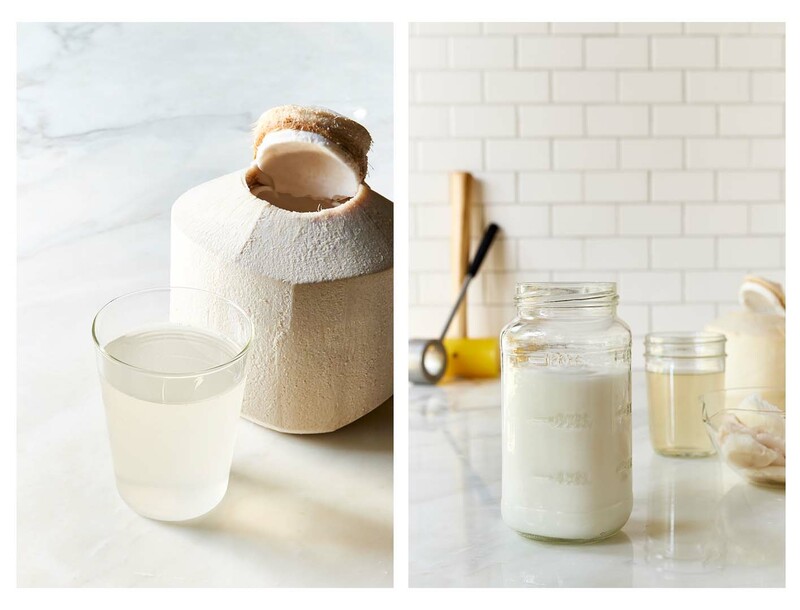 Reserve 1/4 cup of kefir to add to the next 4 cups of coconut water to make your next batch of kefir. To improve your gut health, drink 1/4 cup of this kefir in the morning and 1/4 cup at night right before bed. While you are laying horizontal, the good bacteria has a colonization party in your gut and colon and multiply like Gremlins. Note: With coconut water kefir, less is more. This stuff is potent, and really gets your digestive system moving. If you drink too much you may be paying homage to the toilet bowl more times than you would like. Canned coconut milk is rich, creamy, and delicious, and is a fabulous convenience product for making soups, stews, curries, and desserts. However, many brands of canned coconut milk contain stabilizers and thickeners. Look for products that just contain coconut and water, and are packaged in BPA-free cans. You can make raw coconut milk by blending coconut meat and coconut water or dried coconut and coconut water. Adjust the amount of water to achieve your preferred consistency. For a thick milk similar to canned coconut milk, chill the milk in the fridge to thicken. The milk will keep in a sealed container in the fridge for about 3 days. I always have a box of creamed coconut in my pantry or fridge. This form of coconut is a convenient and economical alternative to fresh coconut meat, and will keep for months unopened in the pantry or opened in the fridge. Creamed coconut is the unsweetened, dehydrated meat of mature coconut, ground to a fine, white creamy paste. It is sold in blocks and can be stored at room temperature, but keeps its consistency better when refrigerated. 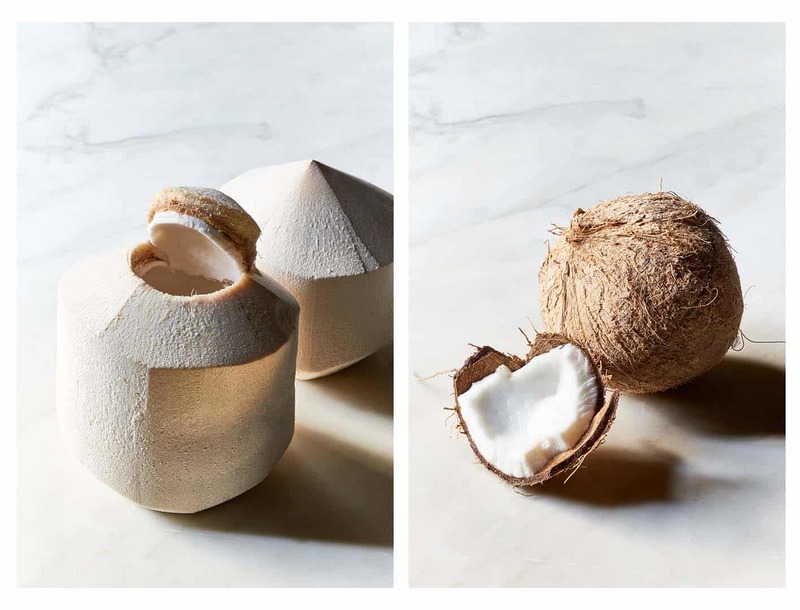 This concentrated form of coconut is intense in coconut flavor, rich in healthy fats, and smooth, creamy, and snowy white. Like coconut oil, it’s loaded with health-promoting goodness that’s great for immunity. Creamed coconut pairs well with sweet and savory flavors, and you only need 1 tablespoon or a 1-inch (2.5cm) cube for great flavor and creaminess. To use it, simply cut, grate, or melt a piece and stir or blend it into your dish. The top inch of the block is typically oil, solidified. You can add that to dishes as you would regular coconut oil. To make instant coconut milk with creamed coconut, mix 1 tablespoon (or more) of the cream into 1 cup (240ml) of warm water. 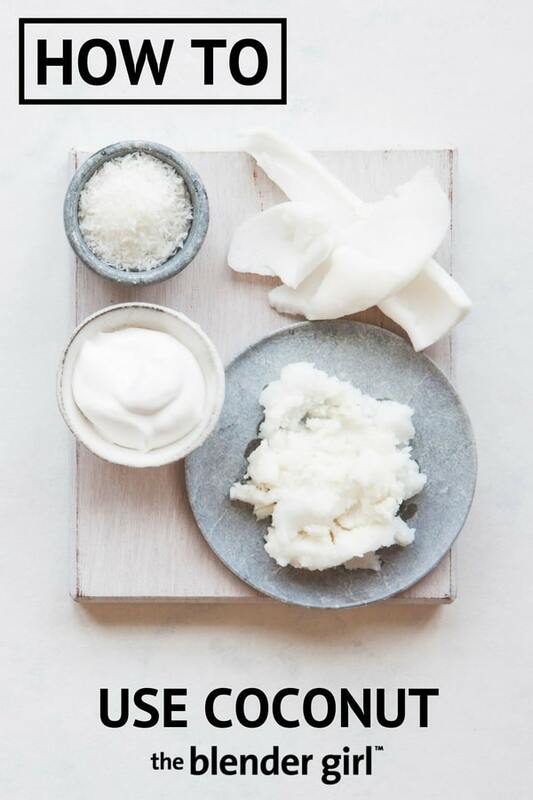 Because of its low moisture content, creamed coconut can be mixed straight into batters and doughs, and is brilliant for creaming up curries, stir-fries, and soups. You can find boxes of creamed coconut at Asian grocers. However, I prefer tor purchase organic creamed coconut. This wonder oil is a health-promoting superhero. With heart-healthy saturated fats, and about 50 percent lauric acid, coconut oil helps to regulate blood pressure and cholesterol. With easily assimilated short- and medium-chain fatty acids that boost the function of the thyroid and endocrine system increase the body’s metabolic rate by removing stress on the pancreas and liver, coconut oil is also fantastic for promoting weight loss and for increasing energy and endurance. If you’re diabetic, coconut oil is a wonderful ally promoting the effective utilization of blood glucose and enhancing secretion of insulin to help regulate blood sugar. This incredible oil also facilitates the absorption of calcium and magnesium and other minerals, vitamins, and amino acids to promote strong teeth and bones. Loaded with vitamin E, coconut oil is also fantastic for the skin. Virgin coconut oil, extracted with low or no heat from fresh coconut meat (not from the dried coconut kernels called copra) is the best variety of coconut oil. Coconut oil is the only oil that is completely heat-stable. So, it’s the best oil to cook with if you’re heating foods at high temperatures. You can also add coconut oil to smoothies. Add 1 teaspoon and you will get a faint coconut note, and 1 to 2 tablespoons will give you a prominent coconut flavor. There are a variety of commercial coconut yogurts available, and most of them contain a lot of added sugar and preservatives. But, there are some fantastic pure blends. 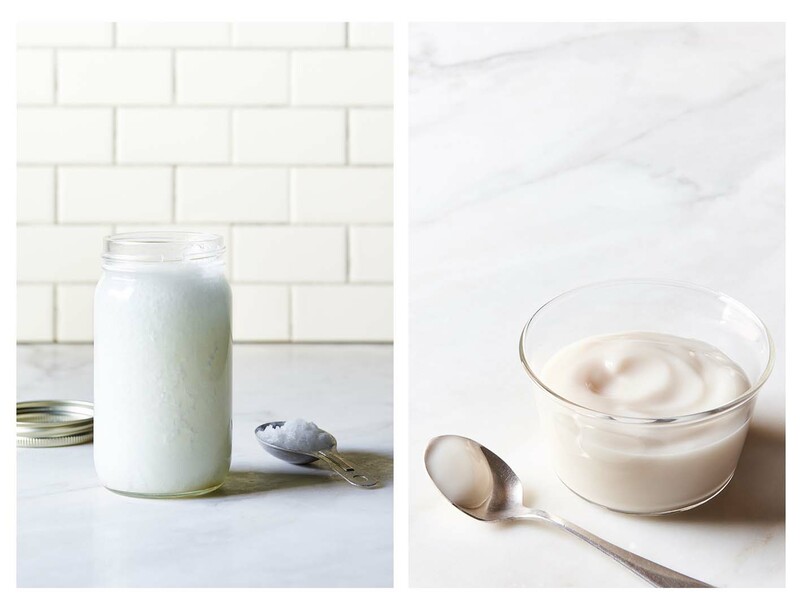 Go for natural coconut yogurts without added sugar-based sweeteners, thickeners, and stabilizers. To make coconut yogurt read the write up on cultured coconut meat above.